Jamie here to share a cute St. Patrick's Day treat with you! I used the Fancy Topper Die to make the face and hat. His beard is made with a 1 3/4" scallop circle punch. 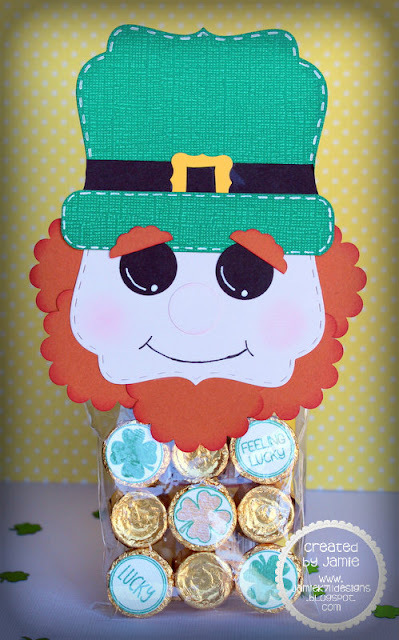 I filled a 3x4 bag with some rolos stamped with candies stamps from Lucky Treats. Love the Fancy Topper Die, so many possibilities with it! OMG this is just absolutely adorable! Love it! This is so cute. Great use of the topper die.